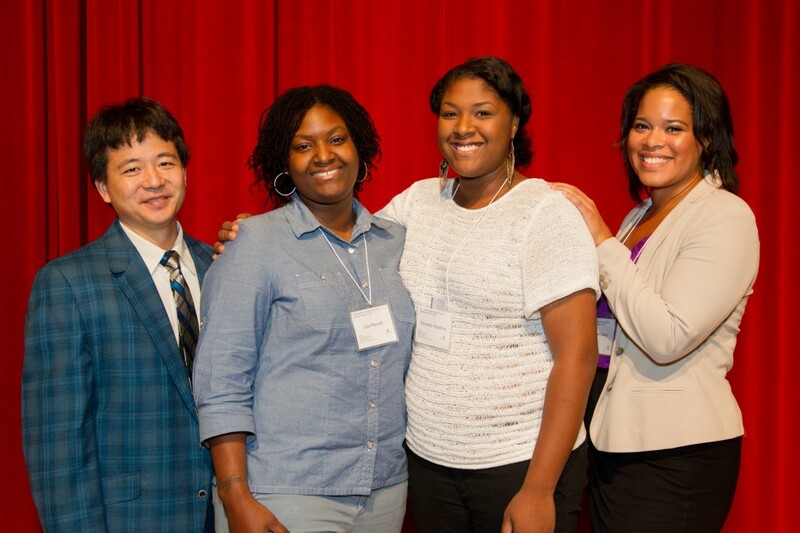 Daniel Teraguchi (left) and Ijee Uzoma (right) pose with the first scholarship recipient, Damisha Hazleton and her mother. This scholarship was developed in 2011 to support a promising graduate of Paul Laurence Dunbar High School. Located on Orleans Street in close proximity to the hospital, Dunbar has long been a vibrant part of the Hopkins community. This $40,000 scholarship ($10,000/year for up to 4 years) is awarded annually to a junior of Paul Laurence Dunbar High School who chooses to pursue a career in health or science. In addition to the financial assistance, the awardee is provided opportunities to explore medicine, including: shadowing a physician, access to the medical stimulation center, participating in college readiness activities and be paired with a mentor. By supporting a student of this exemplary Baltimore City Public School in Mrs. Lacks’ name, we hope to educate, motivate, and inspire the next generation of physicians, nurses, scientists, and health science professionals.